Special touch to any occasion! 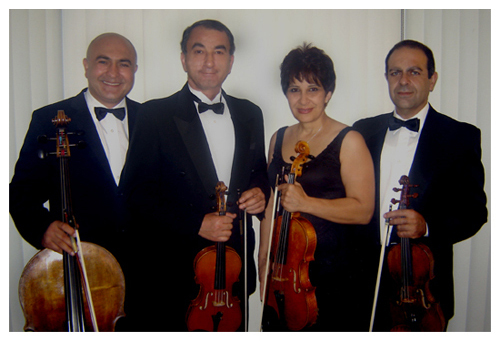 The Bel Canto String Quartet will add charm and elegance to any occasion such as corporate dinner parties, an intimate dinner party, private receptions, holiday parties, wedding ceremonies, and funerals. We specialize in entertaining with a variety of musical styles and will choose our selections to suit your musical tastes. Our musical experience and knowledge of classical wedding ceremony music, give us the expertise and flexibility to work closely with our clients to provide just the right music for their special event.